Consult with Frey & Busby PLLC before making critical decisions that could permanently compromise your hard earned investments or damage relationships with your neighbors. Allow Frey & Busby PLLC to assist you. We can provide you with strategies to guard your legacy--or you may call upon us to assert your rights to a family estate, or to protect a loved one. Even a simple office visit may save you from making critical miscalculations that cost you and your family hours of unnecessary stress and anxiety. Representation of a child’s interest in a legal matter can be critical to the welfare of a family. 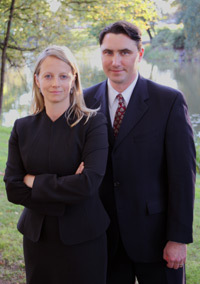 Seek advice from Frey & Busby PLLC as to how best to protect young ones’ rights and interests.